WordPress is amazing in so many ways but, in my opinion, its native search is not up to scratch and always requires some form of customisation. SearchWP is the ultimate plugin to give your site finely tuned search results based on your content. @marktimemedia try searchwp. 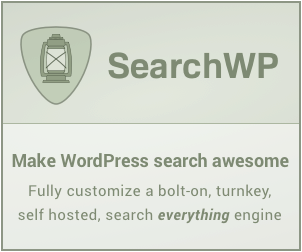 made me love WordPress search again.